No one came close to identifying in what restaurant you might find this display below. There is no more Hard Rock Cafe in New York and the Rock and Roll Hall of Fame Annex annexed out of town soon after it opened. 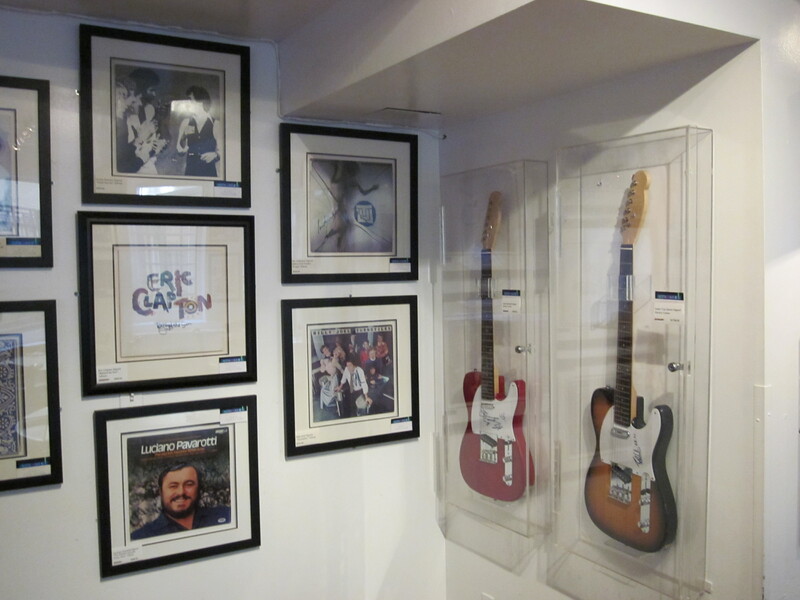 Where would you find music memorabilia on display in a restaurant? The same place where you will find these. See below. Mickey Mantle’s on Central Park South just off 6th Avenue. 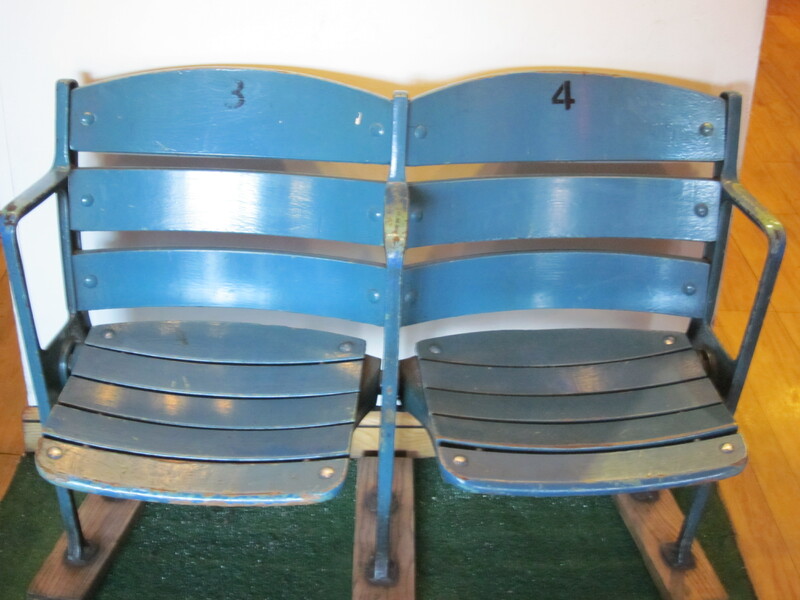 They have round tables, countless televisions, and, besides sports’ memorabilia, the music memorabilia shown above. I knew this would stump serious foodies who wouldn’t dare dine at Mickey Mantle’s. And, after sampling much of their menu, I really can’t blame them. But the beer is usually cold and because when I was a young man in a depressed state over my many shortcomings, I once peered into the restaurant and saw my boyhood idol, The Mick inside who noticed me and gave me a friendly wave giving me an instant boost in morale. For that I will forever have a soft spot for Mickey Mantle’s. So until we play another game of Name That Place, better luck next time, sports’ fans. 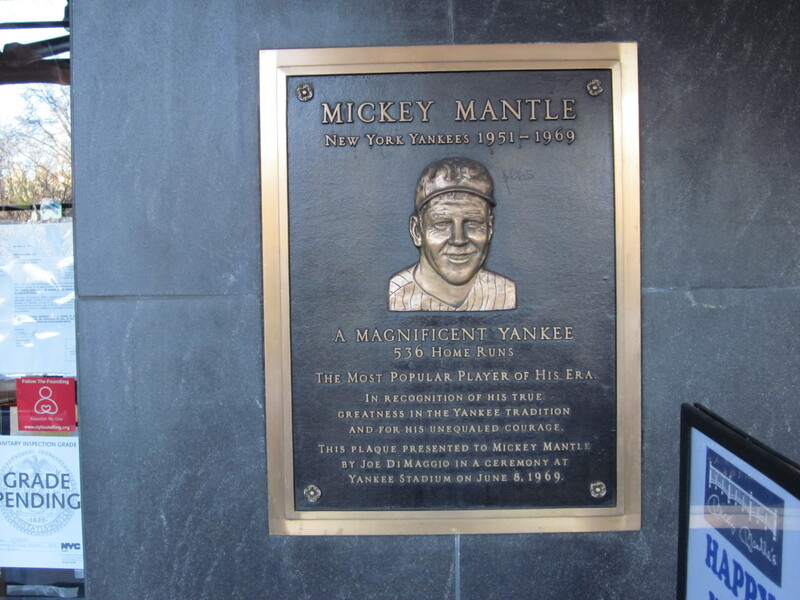 Mickey Mantle, my boyhood idol as well… Glad to hear its doors are still open ! Did’t Eric Clapton play 3rd base for the Sattle Pilots ? And if so, where is his golden glove ? Do they have John Fogarty memorabilia as well ? He was a great center fielder for Cleveland way back when… Nothing like the Yankeees of the ’60s !